Kathleen McCoy was educated in classical dressage at the University of Berlin in Germany where she lived for 2 years. Riding and training professionally for over 20 years, she specializes in dressage and has worked with many disciplines, breeds, and levels of riders. She believes dressage can help any horse. 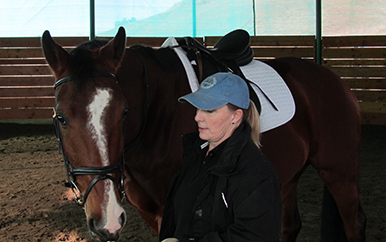 Kathleen’s training philosophy is strongly based on the German system, utilizing the training pyramid, with a particular focus on good communication and harmony between horse and rider.